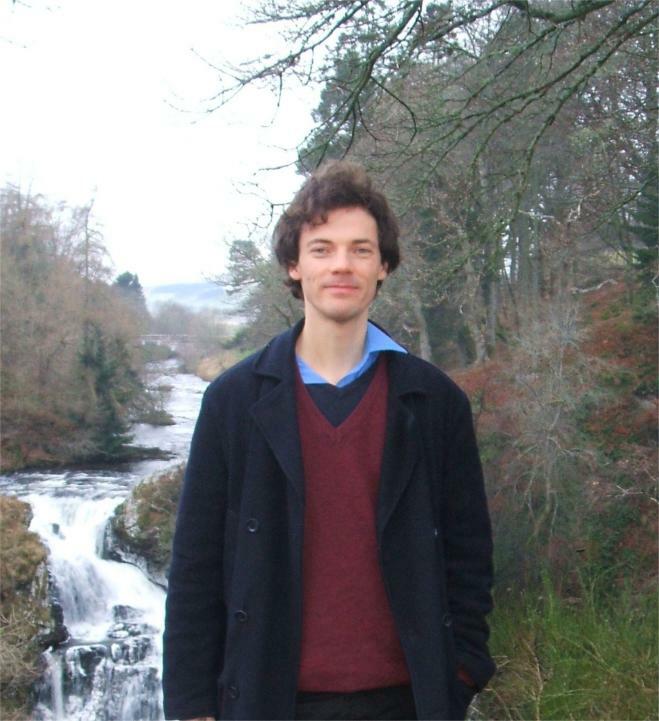 Marcus was a finalist in the 2012 New Music for St.Paul's Cathedral composition competition, and his anthem was sung by the St.Paul's Cathedral Consort, conducted by Timothy Wakerell, in May. Marcus held the 2008 John Clementi Collard Fellowship for composition from the Worshipful Company of Musicians. Hugh Wood awarded him the 2009 Tracey Chadwell Prize at the Guildhall School of Music and Drama for his Five Songs for Creative Voices for soprano and piano. Marcus graduated with starred First Class Honours in Music from Cambridge University, where he studied composition with Robin Holloway and received the Royalton Kisch Award for composition from Clare College. In 2010 he received the Guildhall Artist Mmus in Composition with distinction from the Guildhall School, where he studied with Julian Philips. Octagon - for ensemble of 8 players, performed by members of the BBC Symphony Orchestra and students of the Guildhall School for the BBC Brian Ferneyhough Total Immersion day, London in Feb 2011. To listen to an excerpt of this, please go to Listen. Camera Obscura - for soprano and ensemble of 5 players, to text by Nancy Jones, performed at the Wigmore Hall in 2009. Tela – a substantial ballet of three individual pieces, Silk Thread, Silk Cocoon and Silk Weaving written for the Lantern Dance Theatre Company and premièred by the ensemble Chroma, in Ely Cathedral in 2007. Pater Caelestis, the Tallow-Chandlers anthem, performed in March 2012, Temple Church London, for the 550th anniversary of the royal charter of the Worshipful Company of Tallow Chandlers.. The Hushed Casket (or Still) – for ensemble of 7 players, choreographed by Mathew Robinson, and performed with dancers from the London Contemporary Dance School at the Place, Euston and the Guildhall School in 2009. Dum sacrum mysterium – for violin and piano based on the Missa by Robert Carver, composed for Music Nairn in 2009, and performed by pianist Christina Lawrie and the composer. Since we are surrounded and Give thanks to the Father – anthem for SATB choir performed by the Ely Cathedral Girls Choir in 2009. Since we are surrounded was also performed by Selwyn College Cambridge choir and Sarah MacDonald in Oct 2010. The Invisible Chariot ­– for ensemble of free-bass accordion, piano, clarinet, violin and double bass, recorded by the ensemble Chroma in 2010. Arise - for violin and piano, commissioned by the Lantern Dance Theatre Company and performed in Ely Cathedral in 2005. The Cloud of Unknowing – for cello and piano, 2009. An extract of the score is available as a free download under "Download a score"..
Requiem – for piano duet, performed in the Barbican foyer in 2009. Five Songs for Creative Voices - for soprano and piano, performed at the Guildhall in 2009. Heraclitus – song for soprano and piano, 2009. Lost to the Beloved – a song-cycle for soprano and orchestra, performed by Jane Streeton and the Surrey Philharmonic Orchestra at the Epsom Playhouse in 2002. Mass - for SATB choir, soloists and organ, 2007, of which the Sanctus, arranged, was performed in Trinity College, Cambridge in 2008. Carmen Fantasy for 3 Violins and Piano - performed by Emil Chudnovsky, Andrew Haveron and Florin Croitoru in Washington and Baltimore in 1998 and recorded on CD The Three Violinists. Carmen Fantasy for 3 Violins and Orchestra - performed in the Crested Butte Music Festival, Colorado by Elizabeth Pitcairn, Charles Stegeman and Michael Markman in 2000. Violin Concerto - 1996-8, shortlisted by the Society for the Promotion for New Music. Palm Song - for large orchestra, 1997, selected by the Surrey Philharmonic for their Composers’ Day. Flare- an electro-acoustic piece, initially recorded as a solo violin étude by the composer, and then treated electronically, 2009. To listen to this, please click on "Listen" on the Homepage. Crossing Frontiers and The River of Life - two collections of solo piano pieces, 1997-8, recorded privately by the composer. Beyond – for solo piano, 2008. Esther Variations – for clarinet, cello and piano, based on Handel's Esther, and was awarded a prize by Martin Bates, 1997. Anthem - for Sidney Sussex College Choir, Cambridge, for their quatercentenary celebrations in 1996. Antiphon for St. Michael – written for St. Paul’s Cathedral’s New Music Competition in 2010. Song Arrangements for tenor, violin and piano based on Ochi Cherniye, Augustin Lara, Lehar, Rossini and Verdi - for Emil Chudnovsky in USA, 2003. Please get in touch if you would like copies of scores or parts of my compositions.